A daughter, Elizabeth, known as Bessie, was born to John and Katherine Blount at Kinlet, Shropshire. Bessie’s mother was appointed lady-in-waiting to Catherine of Aragon at Ludlow. Bessie’s mother was dismissed from her post as lady-in-waiting to Catherine of Aragon after Prince Arthur died and the court at Ludlow was disbanded. Henry VII died and he was succeeded by his son as Henry VIII. Henry VIII married his brother’s widow, Catherine of Aragon. Bessie was noticed by King Henry VIII during a masqued ball. Bessie’s father was given a gift of £146 by the King, evidence of the King’s interest in his daughter. A son, Henry, was born to Bessie and Henry VIII at the Priory of Lawrence, Blackmore, Essex. Bessie’s son, Henry, was raised by a nanny, Agnes Partridge and Thomas Wolsey was put in charge of his overall care. Bessie’s son was christened Henry Fitzroy (King’s son) and Thomas Wolsey was one of his godparents. Henry VIII spent time at Havering-atte-Bowe which was close to where Henry Fitzroy was housed. It is known that he spent time with his son but not known whether he saw Bessie during the visits. Henry VIII moved to Beaulieu but was still fairly close to Henry Fitzroy. Bessie, gave birth to a daughter, Elizabeth. It is not known whether or not Henry VIII was the father. Bessie married Gilbert Tailboys. King Henry VIII gave Bessie property worth £200 per year. A son, George, was born to Bessie and Gilbert Tailboys. A son, Robert, was born to Bessie and Gilbert Tailboys. Bessie’s husband, Gilbert Tailboys, died. Bessie married Edward Fiennes de Clinton. A daughter, Bridget, was born to Bessie and Edward Clinton. Bessie’s son, Henry was taken ill with chest pains and a cough. Bessie’s son, Henry died at St James’s Palace, London. It is thought he died either of tuberculosis or of sweatting sickness. A daughter, Katherine, was born to Bessie and Edward Clinton. A daughter, Margaret, was born to Bessie and Edward Clinton. 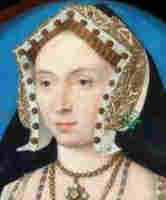 Bessie served as lady-in-waiting to Anne of Cleves.